Yesterday’s Census maps — in 3D. Color shades represent growth rates. 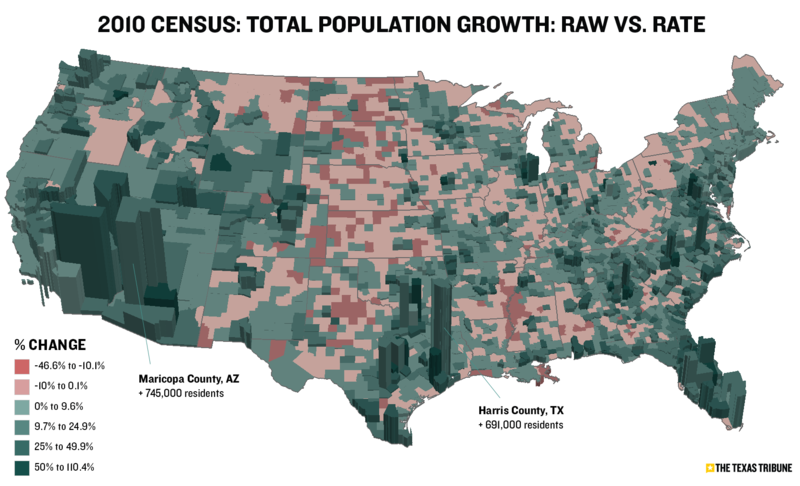 Extrusions represent raw population changes.